Dates: November 7-8, 14-15, 21-22. Description: Zombie Joe's Underground Theatre Group offers the World Premiere of Bea Egeto's new horror production, which deconstructs the mysteries surrounding a collection of historically-infamous deaths, mined for their hidden truths. 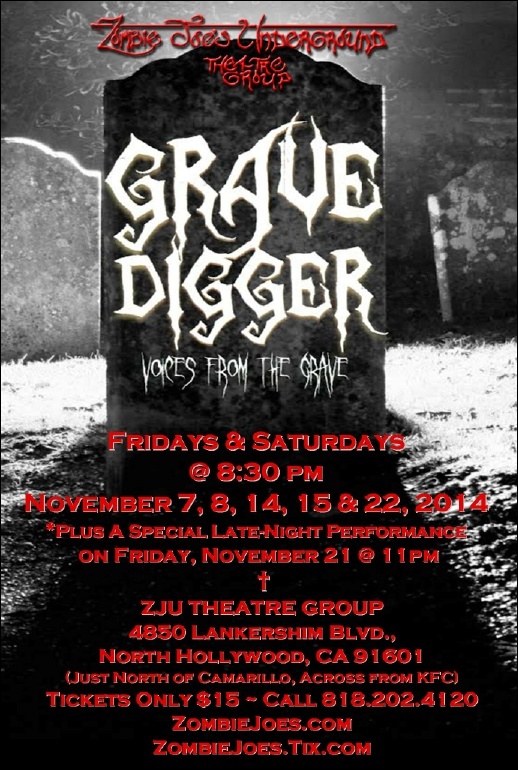 Performances of Gravedigger are on Fridays and Saturdays at 8:30pm, except for Friday, November 21, when the time will be moved to 11pm for a "special late-night performance." Tickets are $15, Advance Tickets are now available. 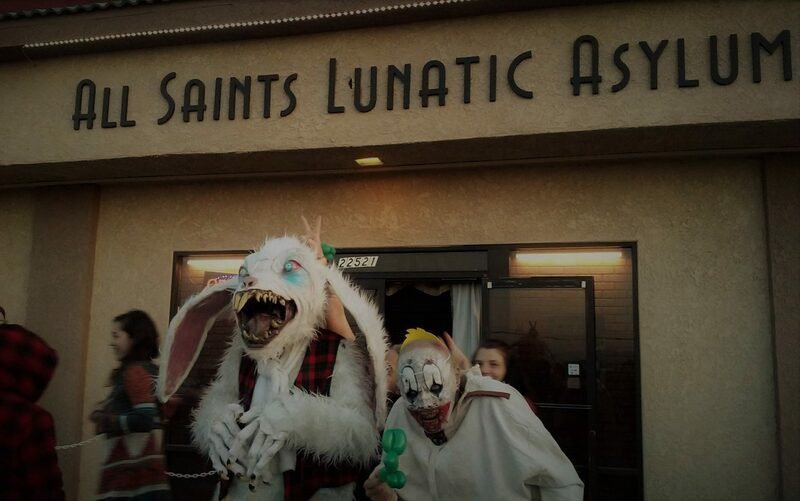 For reservations call: 818-202-4120, or visit ZombieJoes.Tix.com.